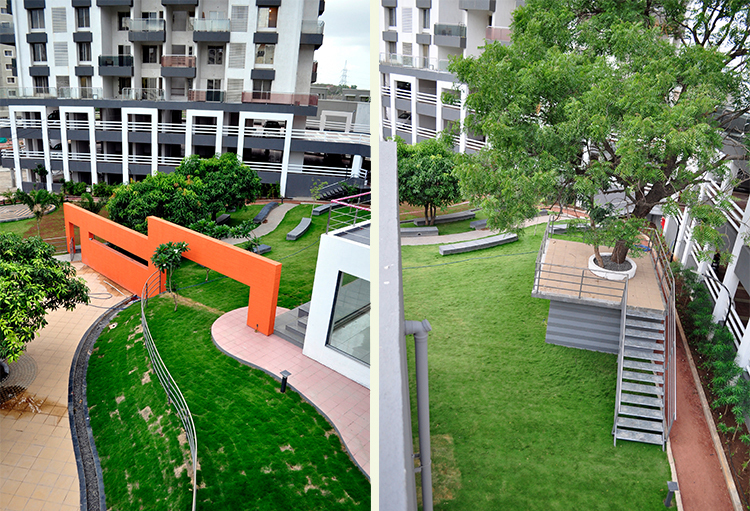 The open space was central to a residential housing complex with high rise towers on all sides. 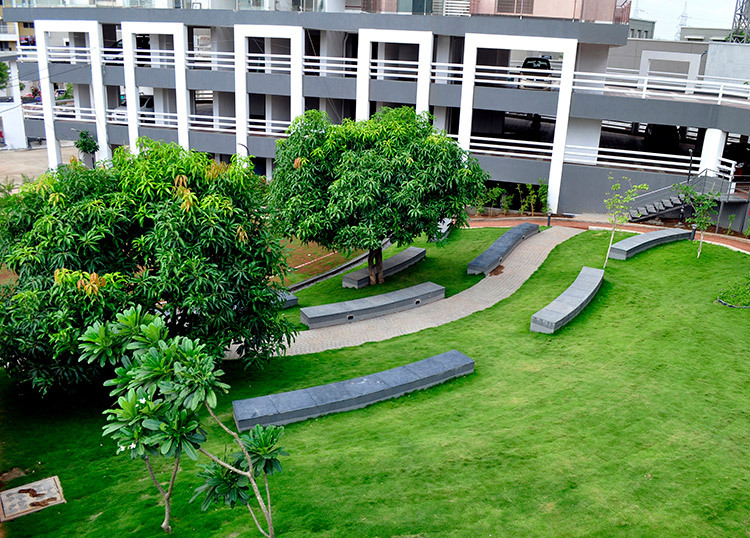 It was a pentagonal shaped area with a gentle slope towards the Southern side dotted with large Mango trees. 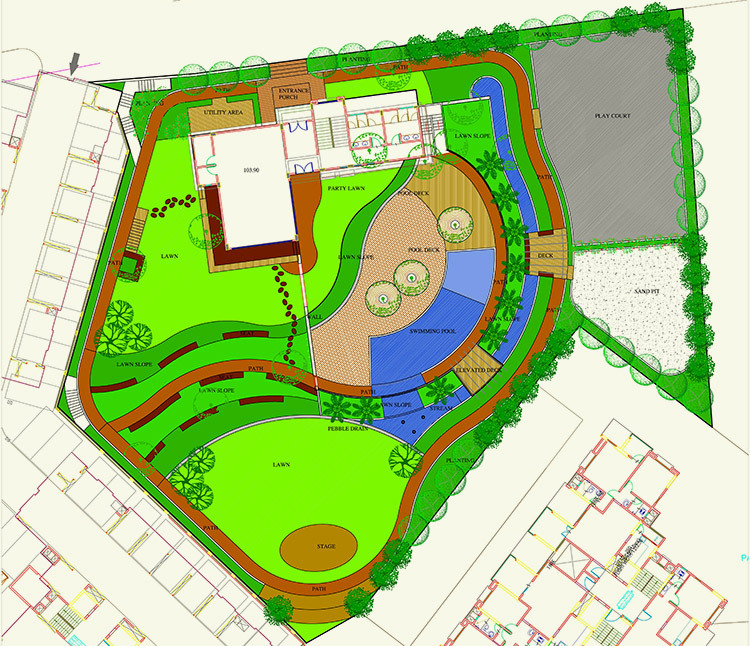 The design originated from the thought of developing this open space with minimum intervention so as to make it as ‘green’ as possible in an otherwise dense area and to build with minimum construction and maintenance work. It is looked upon as an ‘oasis’, but a planned oasis incorporating the existing trees and slopes without disturbing the natural topography with unnatural construction. Lawn mounds and slopes are tempered to gently follow the existing gradient. 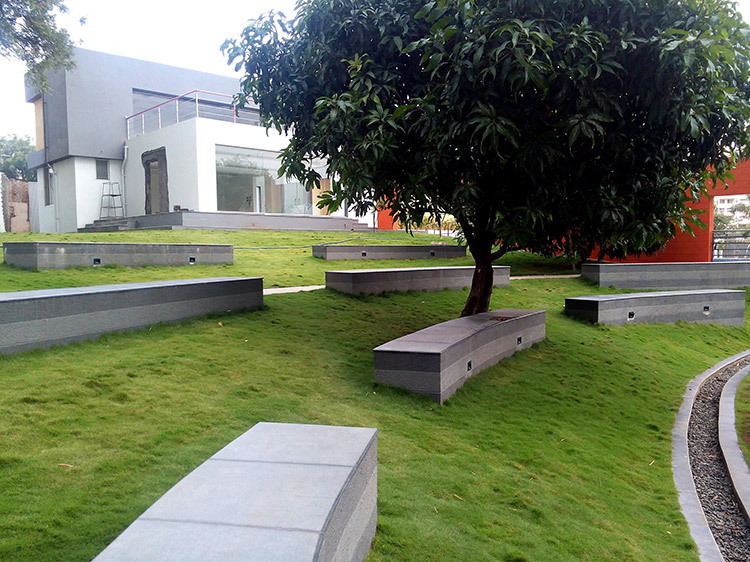 Simple flowing lines following the contours are created with lawn slopes and an informal amphi theatre is tucked within this slope. 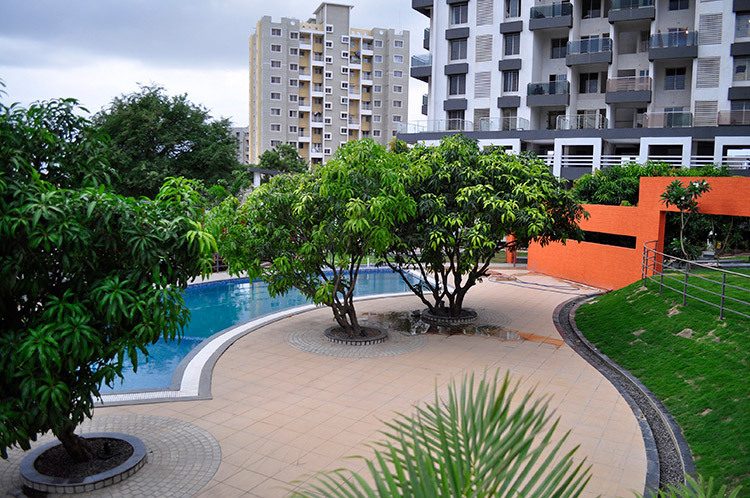 The pool is placed such that the existing Mango trees are made a part of the pool deck. A small stream is designed as an extension of the pool area. 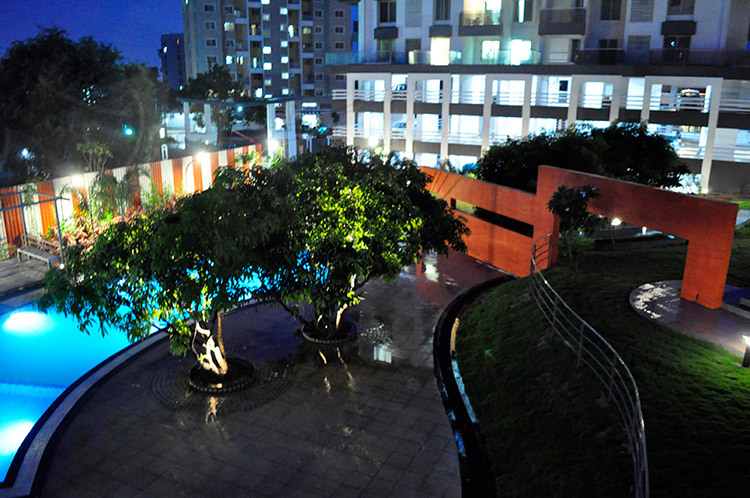 This stream is made accessible at various locations for users to come , dip their feet in water , play and rejuvenate. An overhanging deck and a seating deck are placed on the stream. 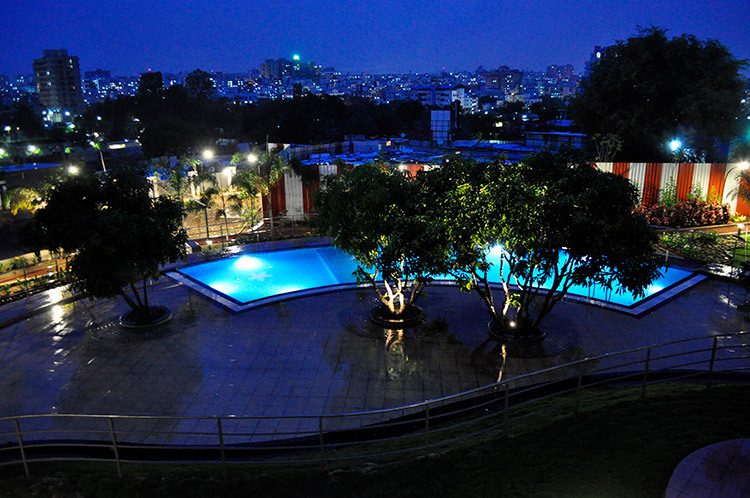 Making use of the slopes, the stream is designed so that the water runs down by gravity and is pumped back to the topmost level for a continuous experience of flowing water. 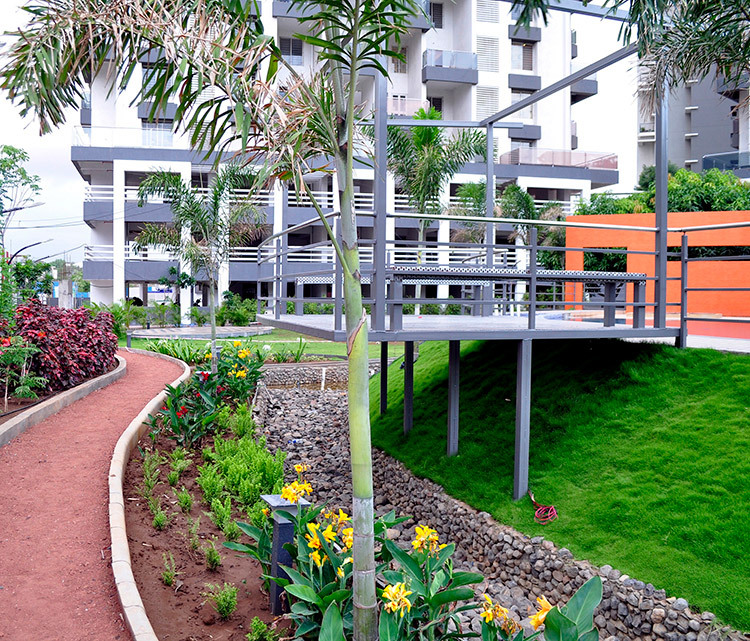 A peripheral pathway made in rammed earth allows for complete access and as a walking track. A vibrant feature wall extends from the club house and spatially divides the pool area from the lawn slopes. 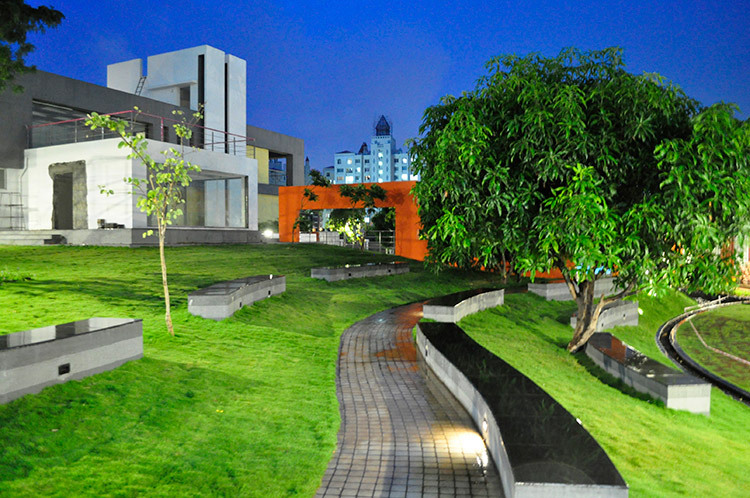 The overall emphasis was to have a design which encouraged water percolation. Most of the area are green which promote this. The overlooking decks are made out of perforated GI sheets which allow water to pass through.